The shore below Culzean Castle, Scotland. 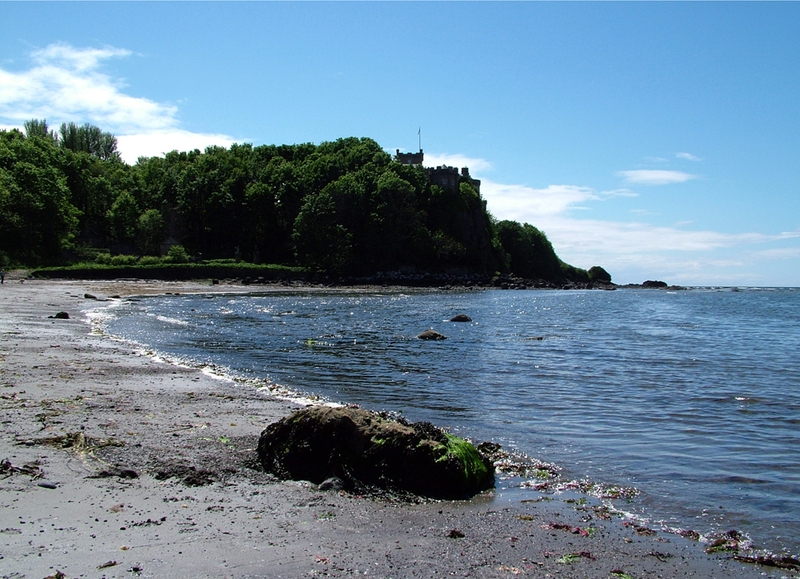 Culzean castle sits on a clifftop on the Ayrshire coast in western Scotland. It has extensive grounds and a long shoreline. It is owned and maintained by the National Trust for Scotland. There are numerous walks within the extensive grounds or down to and along the beaches which are part of the estate. After the second world war a suite of rooms was put aside for the sole use of the American general Eisenhower.